Robert Kuttner is cofounder and coeditor of The American Prospect magazine, as well as a professor at Brandeis University’s Heller School. He was a longtime columnist for BusinessWeek and continues to write columns in The Boston Globe, The New York Times Global Edition, and The Huffington Post. This is his tenth book. "A highly readable, thought provoking analysis of America's—and the world's—situation, a unique blend of history, economics, and politics that shows a clear way out of our morass, if only our politics would 'allow us to get from here to there.' 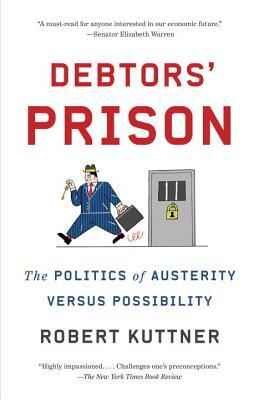 Kuttner explains why we don't have to be doomed to a generation of depression, but that current debt, finance, and austerity policies make that a likely prospect. Even those who disagree with his conclusions will find his wealth of historical insights invaluable."